Weekend is right around the corner and I have a surprise ... I recently did a pattern test for Fawnda from Fireflies and Jellybeans and she has a special treat for you!! 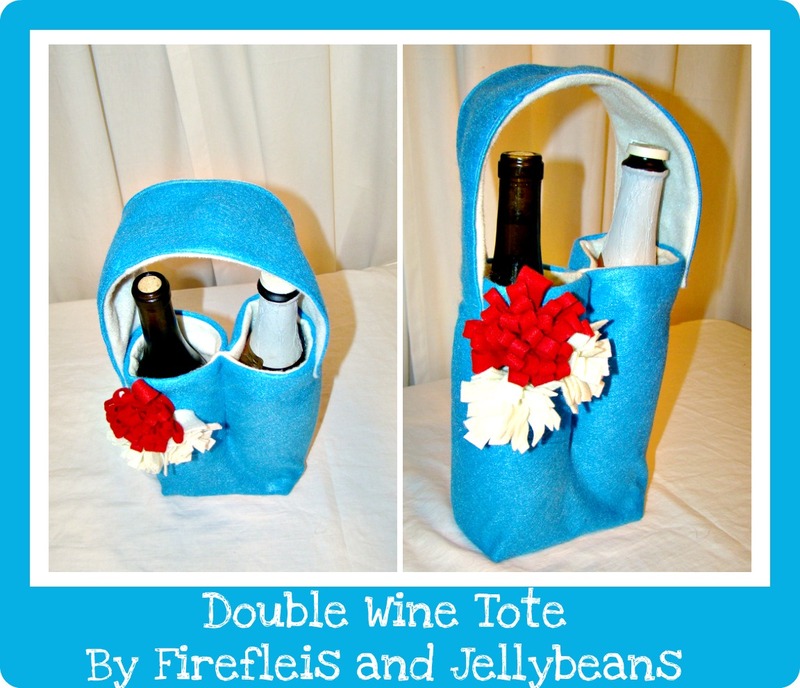 Hello, Fawnda here (from Fireflies and Jellybeans), I am so excited to introduce my newest pattern: It is a Double Wine Tote! 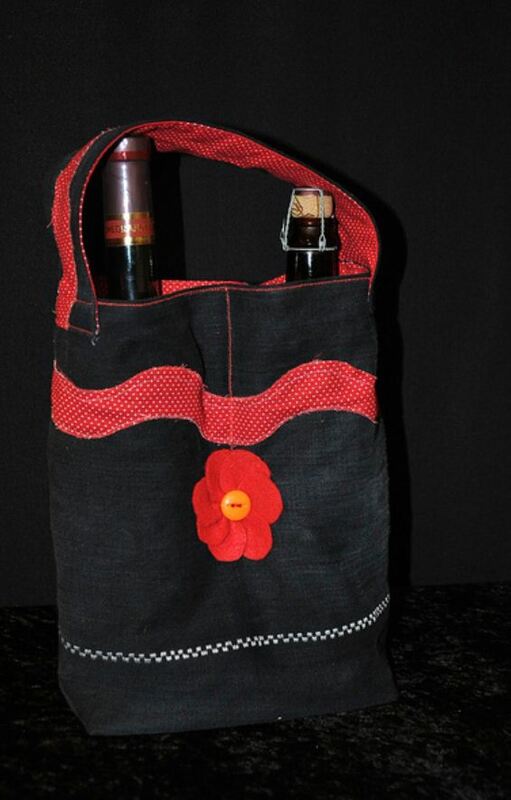 The double wine tote is the perfect way to carry your wine safely anywhere you want to go. Whether you are going to a party or a evening with close friends and family, you are sure to look stylish with this chic wine tote! **The Pattern come with a license to sell what you make! ** Caroline was gracious enough to be one of my pattern testers! Her tote turned out FANTASTIC! To introduce my pattern I am giving away 1 free to a Artfully Caroline reader! 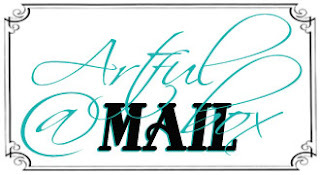 Also Artfully Caroline readers get 20% off at my shop: Funky Joy. This giveaway will close on Tuesday, February 7th, 11PM eastern and the winner will be announced the next day. I am a follower of Artfully Caroline for a while now. I would use Red and Blue cotton, or old blue jeans for my fabric of choice. Love this pattern. I also follow fireflies and jellybeans blog.